Easter Blessings for AnnaBelle Stamps! 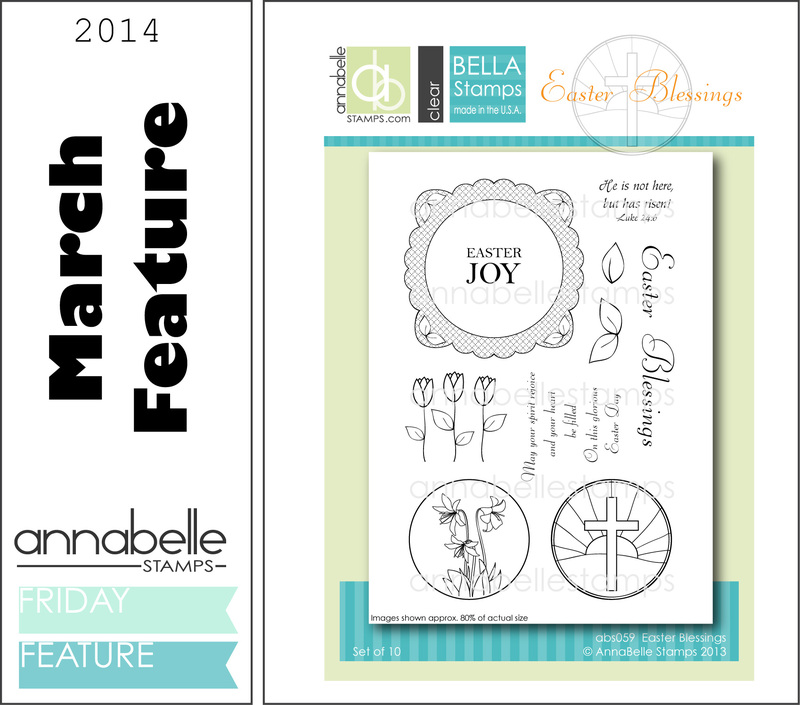 Back today with this month’s feature set from AnnaBelle Stamps. Such a sweet set and the label has a matching die too! I realized that I hadn’t played with my all time fave BBD7 in what feels like forever, so some tone on tone angled stripes were called for! Other Supplies: Prismacolor Pencils – Lemon Yellow, Spanish Orange, Poppy Red, Crimson Red, Limepeel, Olive Green, White. Cardstock – SBB Peach. Satin ribbon – Apricot. Next > Having some Graffiti fun! 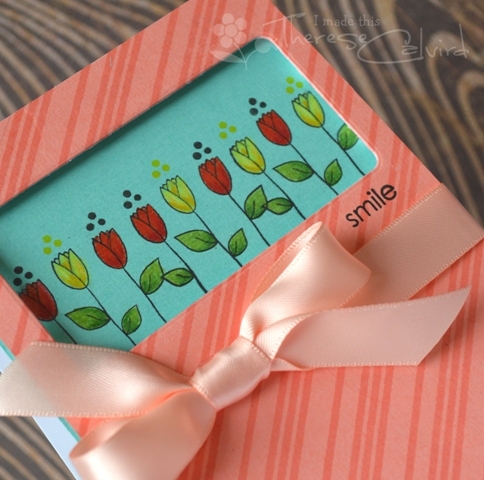 wow what a beautiful card..
Oh, I just love your tone on tone background with these pretty flowers! Another really beautiful card, Therese! I just love how you framed these beauties Therese. 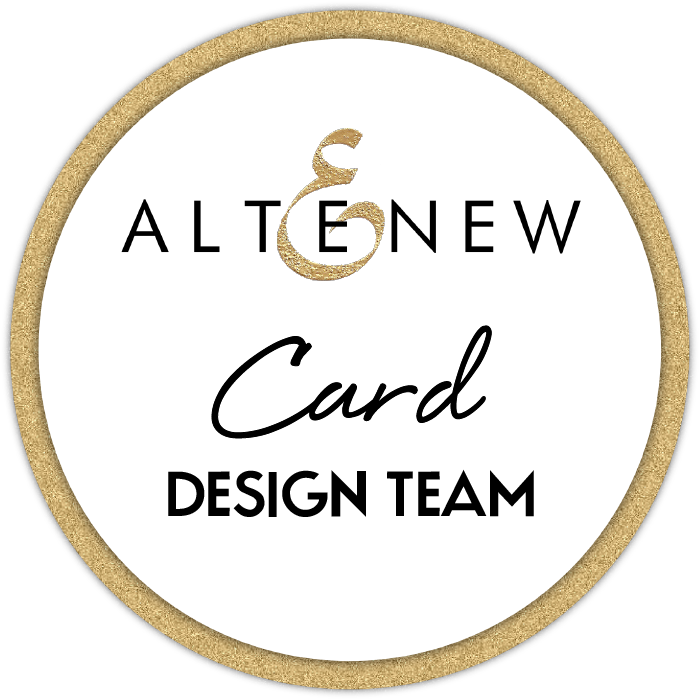 Beautiful card and stamp set! 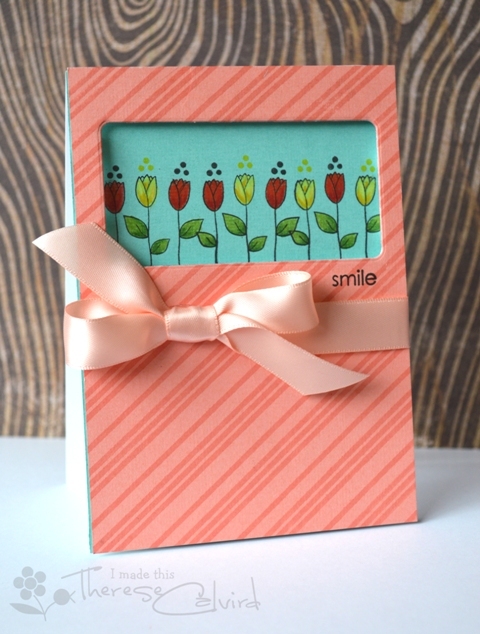 Love the extra use you got from that die :0) such a lovely springtime view through that window ! !